Jennifer Hartmann is a copy editor and production editor for the Hachette Book Group. 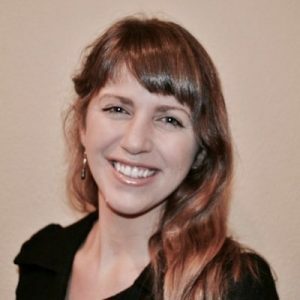 Based in Boulder, Colorado, her work involves supporting authors who publish non-fiction work in the fields of psychology, anthropology, sociology, political science, history, and health and wellness. Welcome everyone to this Reedsy webinar. My name is Jennifer Hartmann. I am an Associate Project Editor at Hachette Book Group in Boulder. My background in editorial, I began working in academic publishing. I'm currently working at a big five trade publisher, but I started my editorial career in the acquisitions department at an academic publisher. I've always worked mainly in the fields of psychology, sociology, some anthropology, and health and wellness, which is really trendy right now. That is a booming topic. If you've Google information about writing nonfiction before you've probably found a lot online because there is a lot online. Today, I wanted to focus specifically on making nonfiction work readable and accessible. I want to briefly go over what nonfiction is because there are lots of sub-genres within nonfiction that you perhaps might not be as familiar with. We do include memoirs in nonfiction. Memoir, and autobiographies, and biographies are just stories that are true and that are told well, and they are very popular. But, historically, non-fiction has not been as popular as fiction. We've kind of associated non-fiction writing with boring textbooks and encyclopedias that non-fiction is becoming very popular. Big five publishers like Hachette, and HarperCollins, and Penguin Random House are very actively and enthusiastically seeking out non-fiction as much as they are literary fiction. 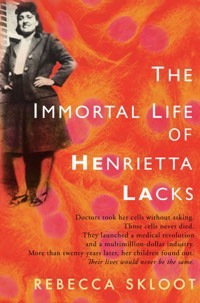 But I wanted to give a couple examples of some very successful nonfiction work. This is an example of creative nonfiction. It's a great piece that was turned into a movie. This has a gorgeous cover. 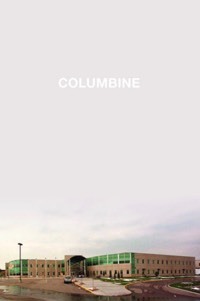 This is a nonfiction book by Dave Cullen and the content alone is riveting because so many people are curious to pick up a book about tragic incidents so that we can learn from them so that we can increase our awareness. Books that deal something that's happened in our society are very popular. They require extensive research, but the audience always benefits greatly from the effort. This is another example of fantastic narrative history. This book, I believe it was a runner up for the national book award a couple of years ago, and for a very good reason. Ibram Kendi did tonnes of research on this. 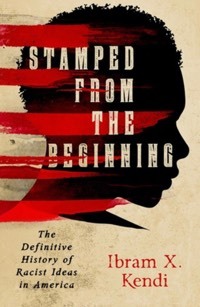 This is a journey through a comprehensive history of anti-racist ideas — and like Columbine, books like this can start a collective social dialogue and they're just becoming more popular because of the speed and the ease with which we can communicate in today's modern world. If you're working on a book right now, you may have this on your shelf. If you don't, this is a fantastic book to pick up. Do you want to learn how to write better? This book does exactly what it says it will do. It teaches you to become a better writer. And Anne Lamott is funny and witty and very knowledgeable. This just came out within the last year or so. And my goodness, she is a riot. Authors who are funny really sell well. 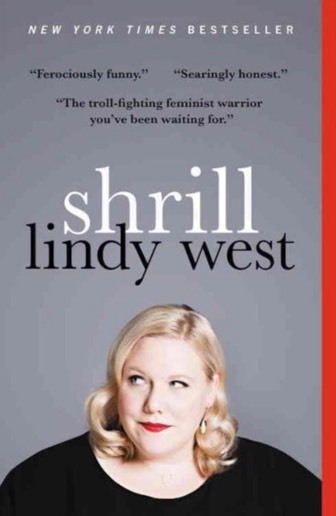 This is nonfiction at its most hysterical because she's a natural comedian. This is something to keep in mind and I'll touch on this a bit later, but humor can be a great tool to have in your nonfiction arsenal. If a reader picks up a book and they're laughing hard, they won't be able to put it back down. 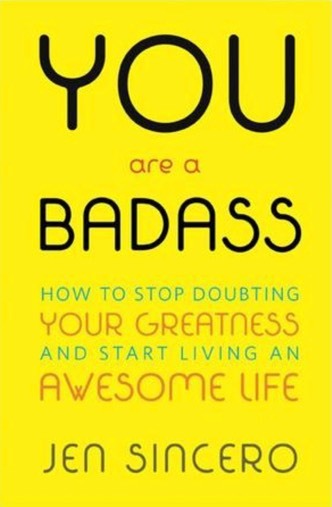 This is another self-help book or self-empowerment book. And these are extremely popular today. This genre is arguably the biggest up and coming or rather has already arrived genre, a sub-genre within nonfiction. If you go to a Barnes & Noble you will find self-help books on the French shelves being marketed and advertised because they are selling Jen Sincero, also a very funny writer. The quality of being legible or decipherable. The quality of being easy or enjoyable to read. So, readability is important. If you think back to middle school and high school, you might remember the textbooks that your teachers forced you to read; the ones you struggling to stay awake reading. Maybe they had errors in them that distracted you. Authors who self publish do benefit greatly by hiring multiple editors because we will help you to clean up the writing and make it readable. One thing that really hampers readability is typographical errors and lack of style. It's vital for authors to have at least a working knowledge of grammar and of style. By far, the most common problem I encounter with new or less experienced authors is they're not fully aware of these basics. It's very true. Then, the editor's job is to help you clean up your writing, but the editors work is cut out for them if there are clunky sentences and typos and scattered areas. These really are quite preventable. So, you can teach yourself a lot of these basics and save yourself some time and some money by reducing the number of errors in your work. Thankfully, an incredible style guide has been on the market for, I believe, nearly a century now. 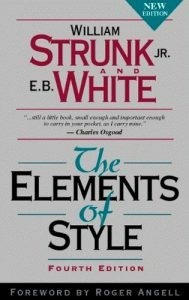 I believe that was published in 1920 that this is The Elements of Style by William Strunk Jr. and E.B White. It has absolutely stood the test of time and it's really the bread and butter of writing manuals. Of all the books, I would recommend picking up Elements of Style, is number one. It's a very important book to have. Tip number two, kind of a funny one, but a true one. You never want to frustrate your reader. Of course, typos and errors are frustrating, but these are not the only things that hinder readability. As you're writing or as your editing or as you're advising, think about some of these questions. What are some things that bother you when you're reading a book? Again, think back to when you were a kid reading a text for school or perhaps think about a time when you started a book and you just couldn't bring yourself to finish it. What happened, what went wrong? These are absolutely things you can think about when writing and revising your own nonfiction. Here are a few specific things that cause frustration. They may frustrate you. They definitely frustrated a lot of my peers who like to comment on books that they've read recently. The first with long sentences. And not all long sentences are bad, but they can frustrate and exhaust your reader. It can be energy sapping to read sentence after sentence. If it's filled with commas and there's just too much going on or perhaps you're trying to make multiple points and you're squeezing in too much that you could cover in a different sentence or you could break them up into smaller sentences and just reading and saying that sentence aloud is making me winded. We don't want to do that to readers. It's not a readable thing in a book, having really, really long sentences. And short sentences are extremely effective. Changing up sentence length will help you control the pace of your writing. And short sentences are also great for changing the topic or introducing an element of surprise. Block text is another thing that can be exhausting for your reader. It can be overwhelming, so we want to break up big block text into smaller sections. I do say this to a lot of my authors on the front end, but a lot of them are really surprised that we can still take big paragraphs and cut them into smaller paragraphs and smaller paragraphs. There's no such thing as a paragraph that's too small. A single sentence can serve as a paragraph and it can help you transition into different paragraphs. So, it really does help you to transition and more smoothly communicate your ideas. My favorite thing that frustrates the reader: jargon. These are words or expressions used by professionals, usually within academic publishing that's difficult for people to understand and nothing frustrates readers like not being able to understand what you're saying. And jargon does one of two things: it either intimidates your reader (the poor things) or it makes them question you. Both are to be avoided. The reason is sometimes we use jargon and long words and long sentences because we aren't entirely confident about what it is we're saying. And this is normal. This is a totally human thing that we want other people that we know, people we don't know, people we will probably never know to think we're great and to think that we're awesome and competent. But we use jargon to convince people that were qualified to say the things we're saying and that's not needed. You are qualified. You have something to say. Just eliminate the jargon. If you want to write well, don't talk like a law student unless you're writing for law students. Now that that horse has been fed, let's move on to the next subject, which is a little more subjective, but no less important I think. This is a brief pep talk because we all need one sometimes, that be fearless when you write, and especially when you revise your writing. I say this because it can be really scary to write something down and then give it to someone else for them to read and critique. It's essentially like giving yourself to be edited. They're editing a piece of you and that is scary. I've never worked with an author who was fully confident that all of their material was perfect. Most of them are very nervous about turning over their manuscripts because the writing isn't fully polished yet, and it can be better. Of course, I'm not saying to ignore grammar or elements of style, but also recognize that very few authors crank out a polished, bestselling novel on their first try. It just doesn't happen. While it's likely that you won't ever feel your writing is as perfect as it can be, the good news is that you have as many chances as you want and need to revise it and to make it better. And that's because writing is not a onetime performance. It's a long and winding road. On this note, a book that I love to pass on to my authors who do just maybe need that little confidence boost is Brenda Ueland book, If You Want to Write. And I cannot tell you how many people have passed this specific book onto. It is marked up and eared and flagged. It's one of those books that has so much in it. Not just a pep talk, but things like tapping into your imagination, not being discouraged, finding your writing voice. And Brenda Ueland is just a master at communicating. Simply reading her writing is its own lesson in writing. So, after Elements of Style, this is a book that I would highly recommend that you pick up. Tip number four to consider humor. William Zinsser says, "Humour is the secret weapon of the nonfiction writer," and I absolutely agree with that. If you start on your revision process and maybe you've cut jargon and you've cleaned up sentences and you still find that your book is missing something, consider humor. It's intrinsically entertaining and very few readers dislike being entertained. It's especially great because you don't have to a comedian to add humor to your writing. In fact, I know lots of authors who don't think of themselves as funny at all and they're often the same ones who write incredibly witty and entertaining prose. It's true that some writers just happen. It's just easier for them. It just comes more naturally. Perhaps stand up could be a lucrative side hustle for them. That's not all of us. But it's something to consider. It can be a secret weapon. And Williams Zinsser's book On Writing Well also has lots of fantastic information on basics like word choice and sentence structure: tools that you can add to that arsenal. As an editor, I'm asked very frequently what are some things, just give me a couple tools that I can use now, that I can use today that will help me make the writing process easier. Whether or not you've started writing, you've finished a book, you are barely thinking about starting a book, all of these things can benefit you. All of these quick hacks. Reading out loud, it's an amazing thing to do. You catch more errors and you're just better able to locate sentences that drag out, maybe words that don't sound as good or that don't serve you. It helps you to step away from your writing and look at it in a different way. As an author, you may have experienced this agonizing thing where maybe you sit and you stare at a page for hours and you can't find out what needs to change or you can't pinpoint those areas that just need a little bit of extra work. Reading out loud breaks your routine, which is sometimes all you need to get out of that red. I didn't mention this earlier, but this is a good thing to do too. A beta reader like a friend or a family member, a colleague, they can give you a new perspective as well if you don't feel ready to hire on a professional editor. I love this one. Anne Lamott does this. 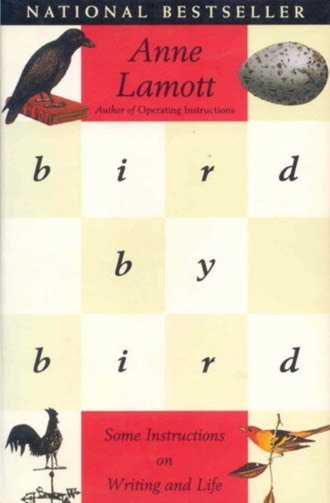 So if Ann Lamott does it, then, of course, we should all do it. When you experience something and words pop into your head and you think that thought of, "Oh, I'll remember this later," only to get home and you've completely forgotten it. That's also agonizing. And sometimes the harder you try to recreate that image or conjure those words, the more impossible it seems. So, don't lose that moment. Carry index cards with you or a notebook or pieces of paper. I used to have scrap paper around with me sometimes and I would just write on everything and put it all in the same little pocket of my purse and then dig them out and try and see if I could read them. But index cards are a good thing to have. We get distracted easily. I don't know if it's just me, it's probably not. Lots of authors and editors and just people, in general, get distracted. We live in a world where information is coming at us quickly and sometimes it's best to just turn it all off and focus on your writing. I understand this is difficult to do. A lot of us have kids, we have family, but if you can step aside and take an hour or two for yourself on a weekly basis for some uninterrupted focus time, it's extremely beneficial. Those are my quick hacks. Any questions or thoughts? Share them in the comments below.